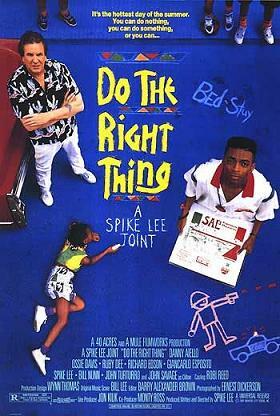 Long before Spike Lee’s movie, the concept of “do the right thing” was familiar to people both in the workplace and in other facets of life. The simplicity of this message is endearing, yet the complexity of work situations makes it impossible for managers to prescribe and predict the “thing” to “do” that would be “right” in all situations. Sometimes “right” can be conveyed as a mindset rather than a set of actions. So, can we just ask people to “think the right thing” instead? Note: A frequent frustration that I hear from managers and directors is that some of their reports need to be told what to do. Prescribing “what to think” rather than “what to do” can function as a countermeasure to such a dynamic. I was recently working with a director in a health-care facility who found it both frustration and exhausting to try to list all the things that care aids should not do when they are in a resident’s room. (e.g. Do I really have to be telling them not to leave their gym bag in a resident’s room?!) Potentially, the more efficient communication would be “imagine that you are a guest in their house and act accordingly.” This provides a somewhat shared set of criteria to discuss the appropriateness of a behaviour (e.g. “If you were going to leave a bag in someone else’s house, you would ask first, no?”) Bringing that narrative frame could trigger a whole slew of behaviours that are consistent with “right” in that context. An orthodontist conveys that she will treat your kids like they were hers. 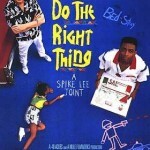 Even when it comes to “the right thing,” I think there is a natural defensive reaction we all have to being told what to do and not to do. Imploring someone to adopt the “right mindset” may get beyond some of that psychological resistance and free people up to use their own judgement. ⇒ WARNING ⇐ Tread carefully in the “mindset” realm because such ideas can be powerful and pervasive. I recall being asked to deliver training on handling conflict that emerged from an unintended “mindset” consequence. Several internal teams in a hospital were given training in “customer service,” and unfortunately everyone appeared to leave the sessions thinking that they were the customer. (e.g. quick to point out deficiencies in getting what they wanted rather than focussed on meeting the expectations of others.) There is always a wrong end to the mindset stick. This entry was posted in Clarifying the Story, Training the Right Things and tagged Collaboration, Corporate Culture, Rules and Ethics on December 2, 2015 by chris493.